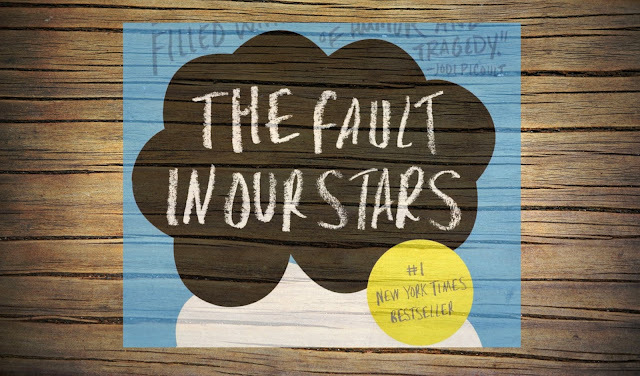 The novel Fault In Our Stars is a book written by author John Green. The author has narrated a story of a sixteen year old cancer patient named Hazel Grace. She is forced by her parents to join a support group where she eventually meets an ex-basketball player and an amputee named Augustus Waters, who is seventeen years old. This book is a beautiful love story of these two teenagers. The author of the novel, John Green, is an American author who is famous for writing young adult fiction. He is also a YouTube video blogger and also a creator of many online education videos. His debut novel 'Looking for Alaska' had fetched him Printz Award in 2006. His novel Fault In Our Stars has been included as # 1 bestseller in The New York Times list and in 2014, he was included in Time magazine’s prestigious ‘100 most influential people in the world’. John Green has written this novel keeping the young adults in mind but this novel is worth reading for everyone. The popularity of the book has been so much that Fox 2000, a division of 20th Century Fox Entertainment, has decided to make a film on this novel so that everyone can enjoy the beautiful love story of two unfortunate teenagers. This young adult fiction is generally intended for the audience who just have crossed their teenage and started to go to college. The reason for that is for last decade or so, young adults have been emerged and expanded as a strong sub-market in book readers’ community. For attracting this group in particular, this book is being featured in that young adult section of several book stores. While talking about the best features or the pros of the book – the first thing that comes to mind is the beautiful narration of the story of love between two teenagers who are struggling with the game that time has played with them. One is a 16 years old girl, Hazel, and another is a 17 years old boy Augustus. The beautiful work of the author had kept the novel in the top spot of bestseller list of The New York Times for five consecutive weeks. Another catchy part of the book is the narration of the topic that has always been difficult to talk about and often neglected. From the reviews written in many websites, many people who read the book could relate their life story with those of Hazel or Augustus. Here lies the success of the writer that he can ensure these two characters are relating to the readers. The work that the author has put across in his book has clearly justified the genre it belongs to. Where most of the young adult fiction is based generally upon superficial gossips, this book does not come anywhere near that. It narrates a beautiful story of two teenagers, which is honest and heartrending. The main theme of this story is life, death and love. This book can be compared with the award-winning book of Markus Zuzak named The Book Thief. Two central characters of the novel, Hazel and Augustus, are the most real and fleshed-out characters of the book that we can ever read. Surely, this is book is a must have collection and treat to read. This book narrates the love story of these two teenagers in such a way that you feel this is the only love story that can be actually be a non-fiction in the Young Adult section of the book store. The book has received highly positive reviews from the critics as well. This book is a perfect blend of humor, philosophy, innocence and melancholy. Though the story is good, the title of the book may seem a little too mature as far as the teenage audience is concerned. Moreover, although the storyline of the book is poignant, sometimes it feels like the characters of the book are not believable and they sometimes do not speak like teenagers as their dialogues seems inappropriate for teenagers. In many occasions, the interaction between the two teenagers is plain and simple, which generally does not occur between two real teenagers who are scared, emotional, awkward and are virgins. Additionally, the parents of the girl are characterized as two dimensional characters, hence are not as believable. The way their characters are depicted, it often feels like they do not have their own identities. To summarize, the book is good read but keep away your judgmental mindset about the characters whether they are realistic or unrealistic. If you want to enjoy a beautiful love story of two teenagers, this book is an ideal one to have in your collection. Especially the way the author has narrated the story, Fault In Our Stars stays along its course of tragic realism through to the end.